Discussion in 'Exploring everything under the sun!!' started by Scotty J., July 16, 2011. Will be rolling in to beautiful, crime free Ouray Colorado tomorrow around 3:00pm. Beer Gardens are top of the list once we get checked in. Then 5 glorious days driving above the tree line. Pics and Vids to come! Check. Have fun and be safe! Video of looking down at Telluride on Black Bear please! Your not gonna pass on this trail again are ya? Let the Wife drive, you just operate the camera. The pictures you will take will be some of the best you will own in your lifetime! Is it just me, or is there something missing from this post?? Or are you wanting ME to get the vid? I for sure will have not only static pics, but a dash mount on the decent. Nope, BBP is definitely on the list this year Unfortunately, according to the reports I've been watching, it's still closed. As is Governors Basin/Sydney Basin and Poughkeepsie. I hope its open for you guys, be a damn shame if it's not. haha, not far from the truth. I try and stay away from that side of the state. Man, you ain't kidding! We went north of Tucumcari through Logan and Mosquero to hwy 25, we had no idea how far from civilization we were getting. We thought there would at least be some gas stations, WOW! 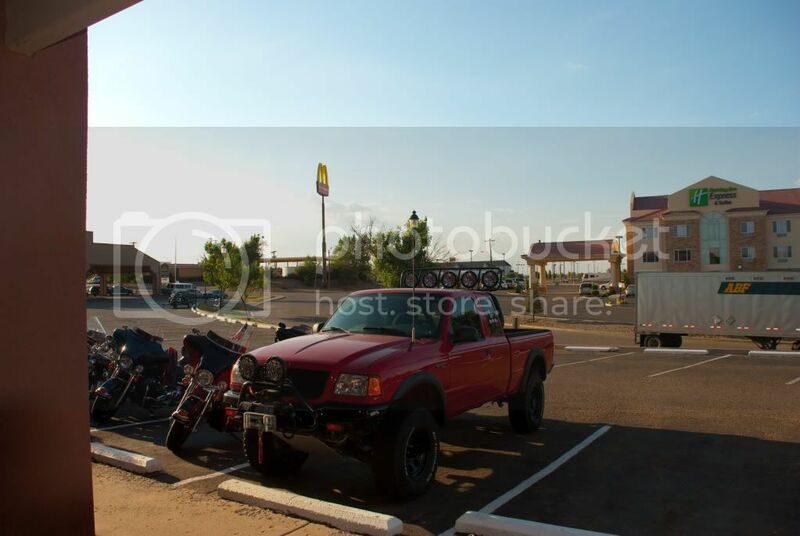 Be sure to fill up before you leave Tucumcari, there was an unattended station at Mosquero that we passed and just caught out of the corner of our eye, we would have made it to springer, but it would have been close. And my cell phone antenna was "RED" meaning no chance of a signal.